Please take notice that the air compressor contains two different plug type : US/ EU(optional) for your choosing ,so please choose the or we will send them randomly thanks for your visit. 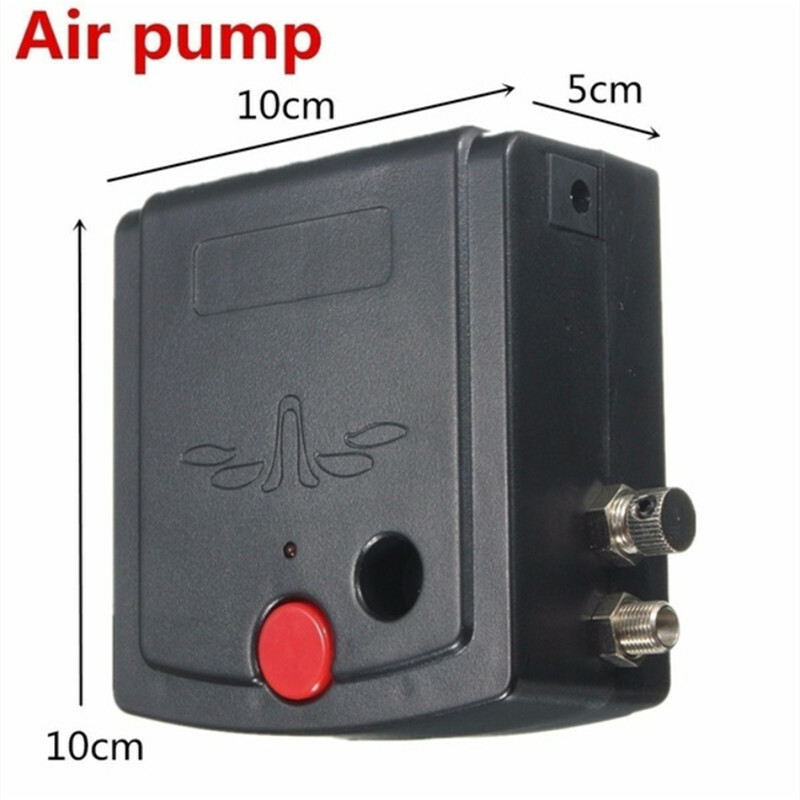 This mini compressor uses the special non-oil type design. It\'s non-oil makes the transmission medium not be polluted. The output fluid is steady and the range of pressure is from 0 to 25 psi. This professional airbrush air compressor kit set is widely used in model making, cake decorating, tattoos, nail art, etc. 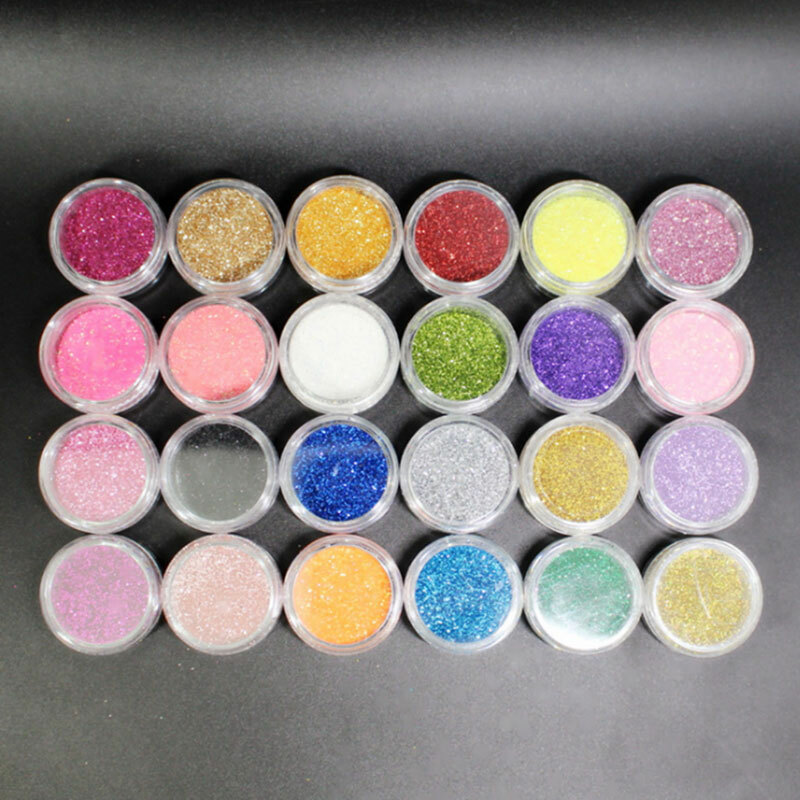 Perfect for artwork, nail art beauty, body art, design painting, model painting, cake decoration, craft, models and fine art such as car painting illustration, textile and t-shirt painting. Include a portable air compressor, air hose, dual-action gravity feed airbrush, mini air filter, a holder, nozzle spanner and eye dropper. Airbrush for model making, cake decorations, draw the outline of camouflage,tattoos nail art, etc. 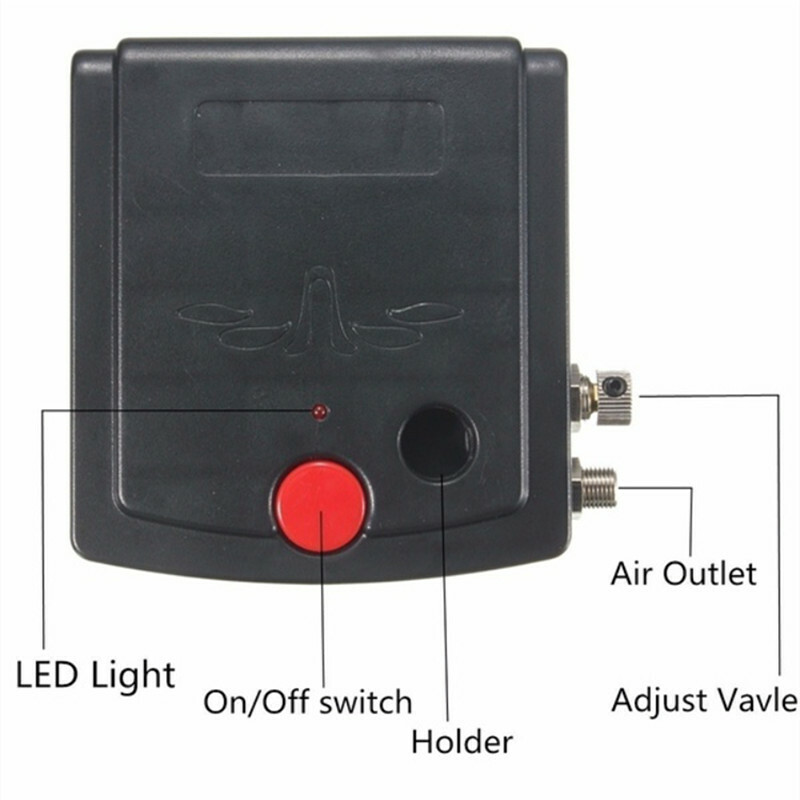 Quite and durable mini air compressor, portable light weight and easy to carry around. Save much more time than handmade drawing and excellent for your spray painting business. 360° airbrush holder for your convenient use of airbrush.